I JUST got in the prettiest redwood tank, but it’s huge. 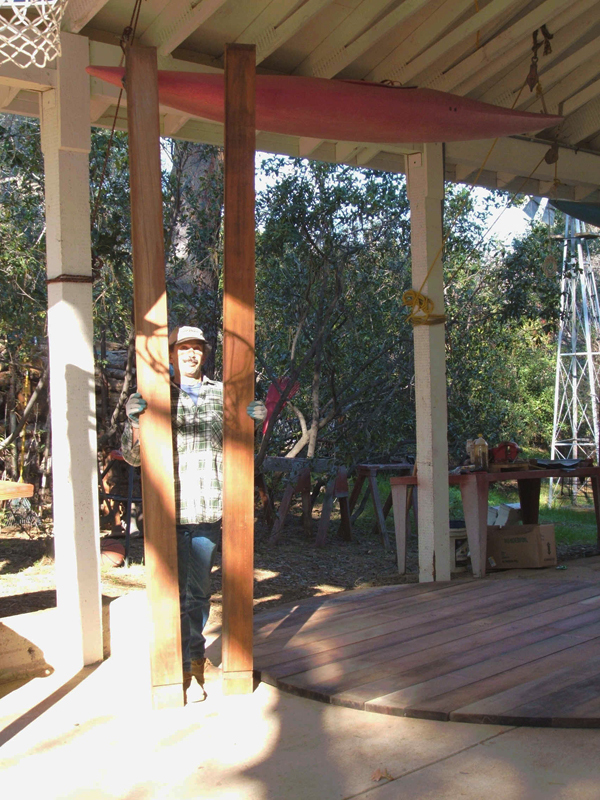 The measurements are 10′ high by 12′ diameter. The wood is the original old growth redwood, clear heart (grade A) with steel bands. This was a kit manufactured by TL Brown out of Santa Rosa California. It would hold 10,000 gallons. 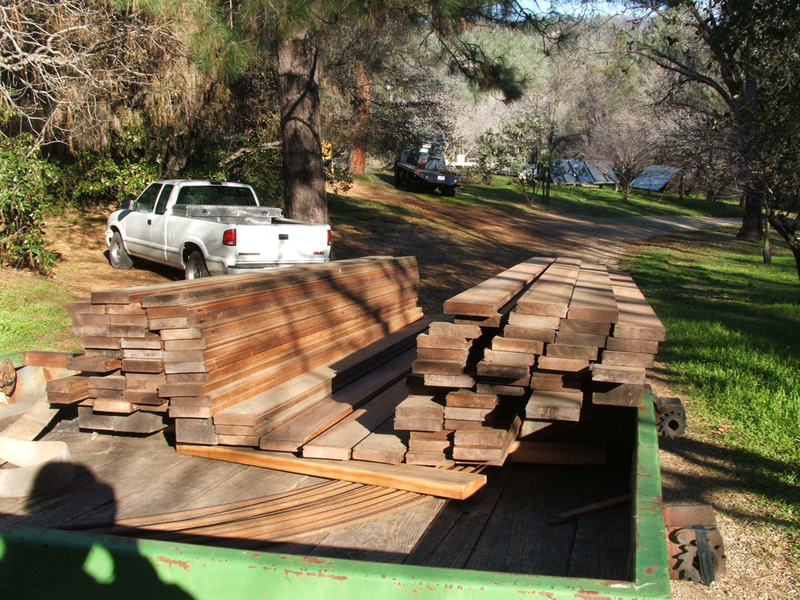 There are (80) 2X6 T&G boards and (6) 4X10 boards and a bunch of smaller 3/4″ boards. Would you like a picture of it? My BIG one is available for $12,000. They’re usually 3 dollars a gallon so this is a great price for a “new”, 40 year old clear heart redwood storage tank. 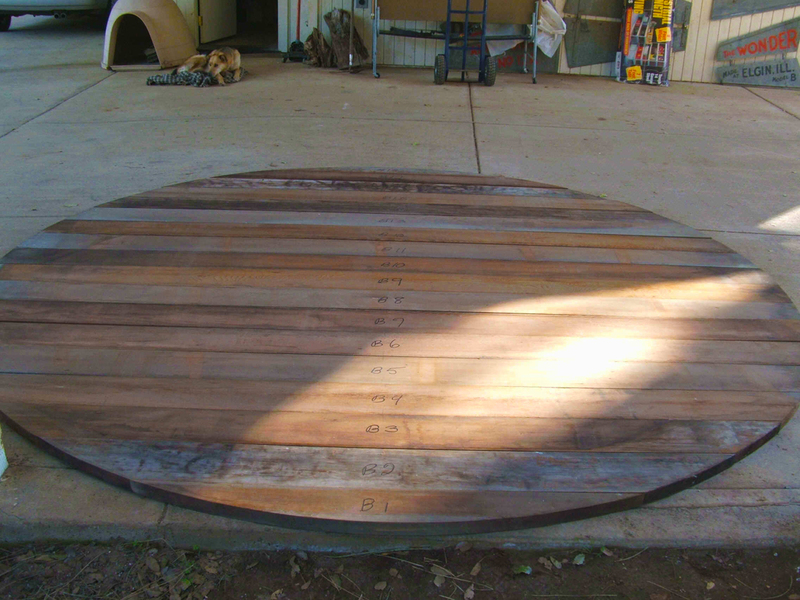 Here’s the bottom of the “new” old redwood tank..it’s never seen a drop of water. 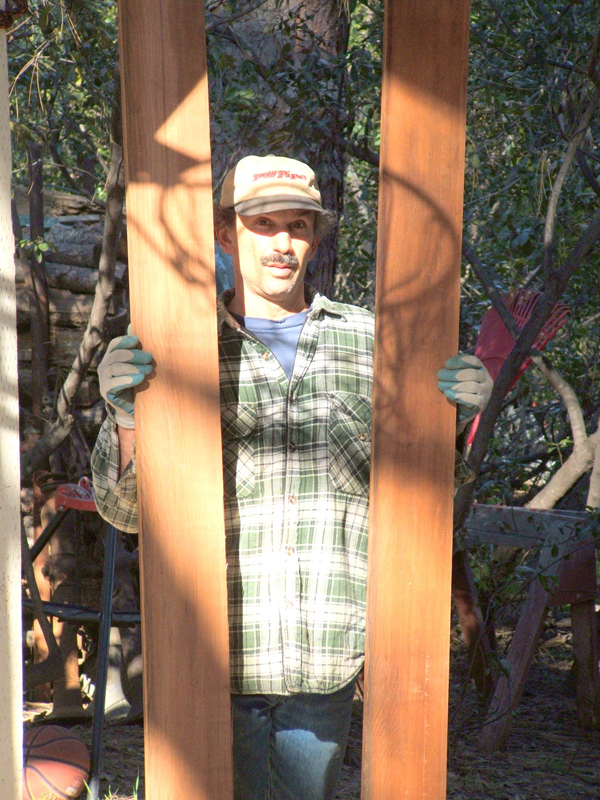 This is Paul holding two of the side boards. Huge huh? I buy old redwood tanks!